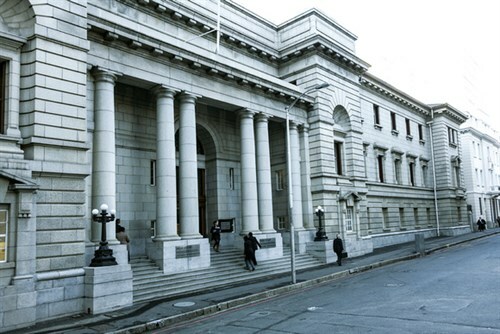 A Western Cape High Court ruling has set a precedent for spousal visa applications from within the country. The judgment saw Zimbabwean national, Lea Stewart, granted a spousal visa, after her initial application was rejected by the Department of Home Affairs. The basis for the initial rejection stemmed from amendments made to the Immigration Act in 2014, which came into effect two weeks after her entering South Africa, and prohibited a change of visitor’s visa conditions from within the country. In addition to being granted the spousal visa, the High Court also requested that Stewart be allowed to apply for permanent residence within three months, and that all legal costs incurred by her family were to be paid by the Department of Home Affairs. Ostensibly, the ruling could mean that any foreigner entering South Africa on a port of entry visitor’s visa could go on to apply for spousal visa without returning home. However, the impact of the judgment on future applications remains to be seen, and it would premature to advise that applicants try the aforementioned approach until such a time where it has been acknowledged to be permissible by the Department of Home Affairs. Contact SAvisas.com should you require additional information on applying for a South African spousal visa. Posted in blog, Fall in love with SA, News and tagged visa precedent. my name is Nathan I have been on SA for couple of years and currently using a refugee status. I find it very difficult to move round the world or do things that I want to due to my status in the country. its there any way that I can apply for permanent resident or spousal visa without going back to my home country.? Hi. I have applied for renewal of my Spousal Visa 11.6. Should the current Visa expire before the new Visa is issued do I need to leave the country or am I permitted to reside in RSA until the permit is received. Hello Thulani. We can certainly determine if you qualify for a spouse visa. Please visit https://www.savisas.com/spouse-visa-south-africa/ and fill in the assessment form at the bottom of the page. Our professionals will analyse if you qualify for a spouse visa and will get back to you as soon as possible.